In support of the 95 Air Base Wing Environmental Management (95ABW/EM) Directorate, Tetra Tech completed an airborne LiDAR mission of 518 square miles at EAFB. Tetra Tech scientists along with our key subcontractors collected, processed, and analyzed LiDAR point data that was used to create a base-wide DEM as well as prepare a model of vegetation canopy profiles over a large area. Over 400,000 acres of EAFB terrain was surveyed during the flight mission which generated over 3 Terabytes of point data. 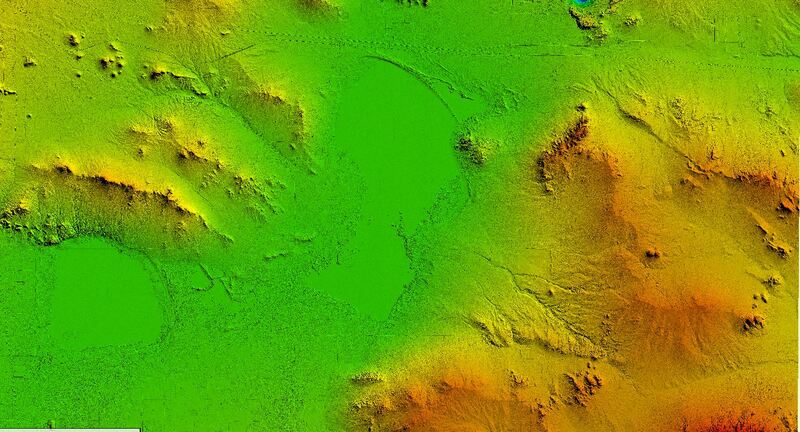 Tetra Tech developed a highly-accurate Digital Terrain Model (DTM), using a combination of automated and manual classification. The initial automated classification to Bare-Earth resulted in a significant amount of misclassified points. Specifically, major plant communities at Edwards Air Force Base include desert shrubs (approximately 30% creosote shrub and 35% saltbush scrub) with heights that fell into the range of the macros parameters. 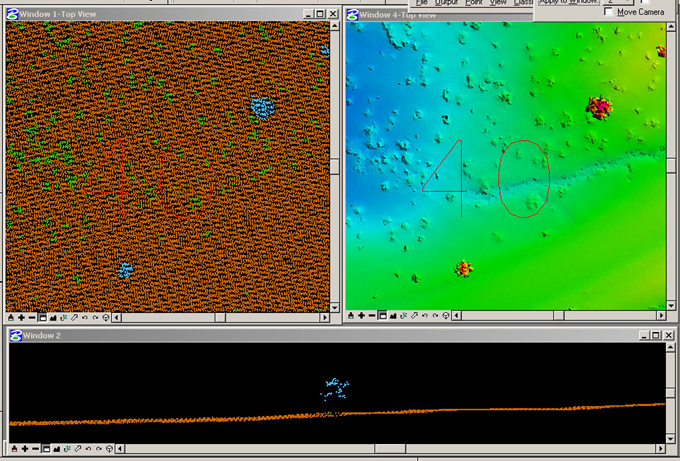 As a result, the small desert shrubs that were not correctly differentiated as vegetation vs. subtle terrain changes. The shaded relief (Graphic A) illustrates a “bumpy” appearance caused from shrubs misrepresented as ground. 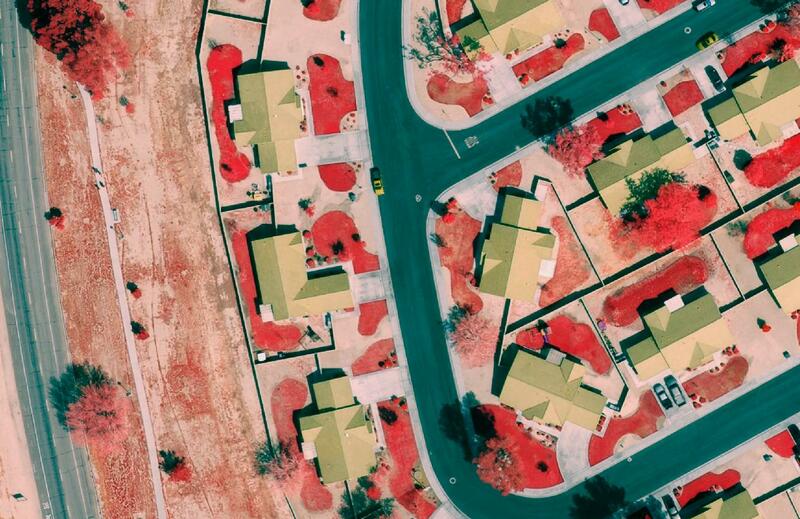 Through additional QA/QC steps, our analysts manually refined the macros until the classes of Bare-Earth and vegetation accurately represented the conditions at the Base. The tile illustrated in Graphics A&B represents one square mile of the project area. The final macros parameters on just this tile resulted in a total of 23,000 points that were reclassified as vegetation. 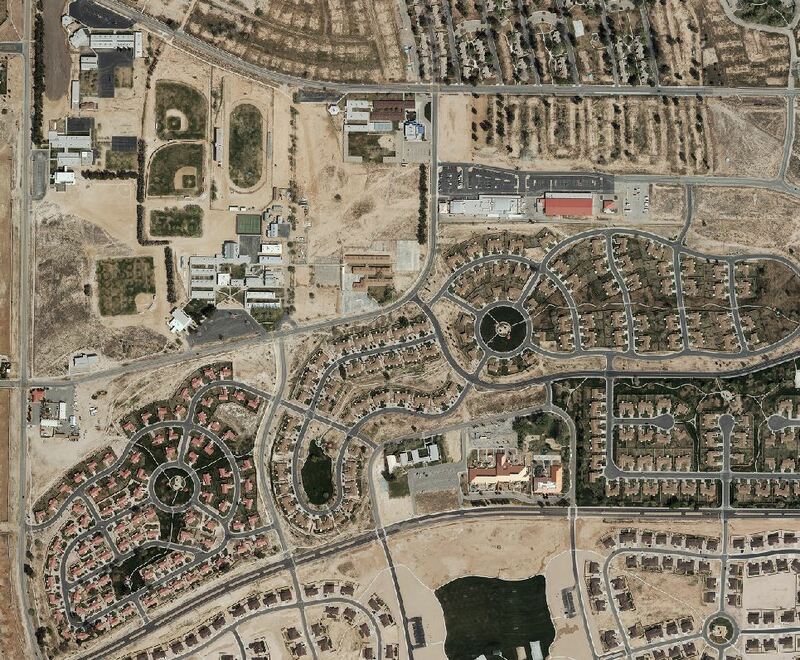 The LiDAR data was then tiled according to the base requirements. Highlights: Additionally, high accuracy slope and aspect maps, as well as maps showing the spatial distribution of vegetation canopy heights were produced in ArcGIS. Tetra Tech also consulted extensively with Desert Research Institute who utilized the dataset to provide floodplain analysis for the Base. Specifically, Tetra Tech led a conversion of the classified LiDAR points from NAD83 and Geoid03 to WGS84 (G1150) and EGM96. 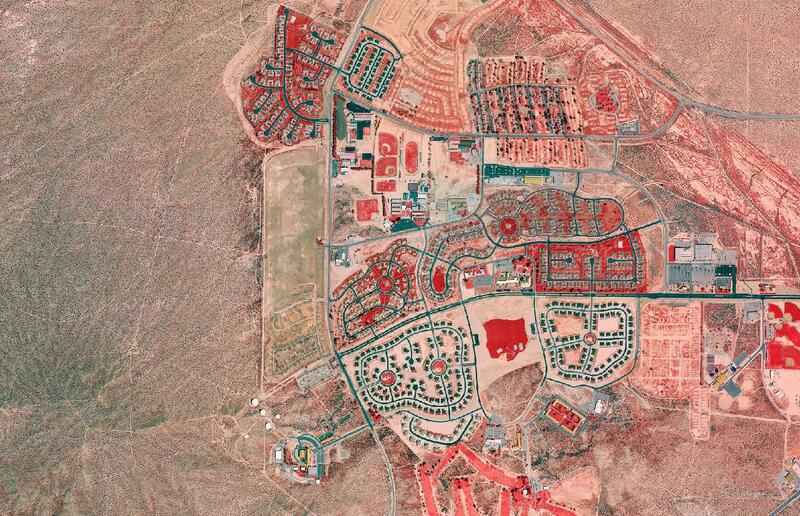 The project was completed per the client’s specifications resulting in three additional Tetra Tech Geomatic Technologies Group project awards at EAFB; 2009 Hyperspectral Acquisition, 2009 NexRAD, 2010 Orthoimagery Updates.